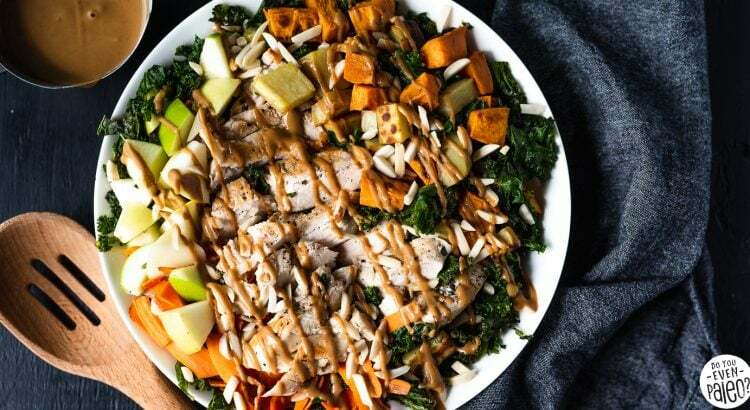 We’re inching towards fall, and you know what that means — a warm kale salad recipe like this Warm Kale, Apple, and Sweet Potato Salad! 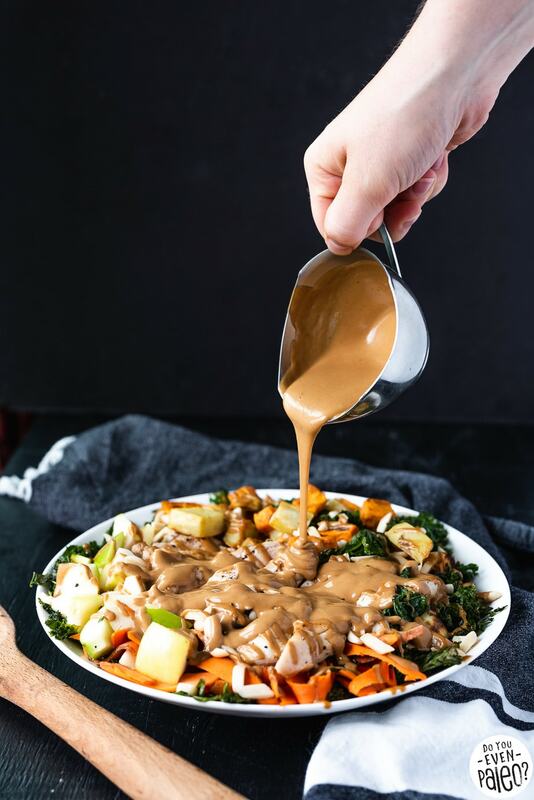 If you’ve been a longtime fan of Do You Even Paleo, you know that wilted kale salads are among my favorite. Starting two years ago with a Warm Winter Kale and Delicata Squash Salad with Maple Vinaigrette, I’ve created a handful of warm kale salad recipes since. And I’m happy to add to the collection this winter season! We slowly slipped into autumn a few days ago. I didn’t even realize it was the autumn equinox — I was photographing a wedding all day, so I was understandably preoccupied! Right on cue, though, the weather turned chilly. Suddenly, I have to wear slippers around the apartment to keep my toes warm. Anyone else have ice-cold toes while the rest of you is toasty? 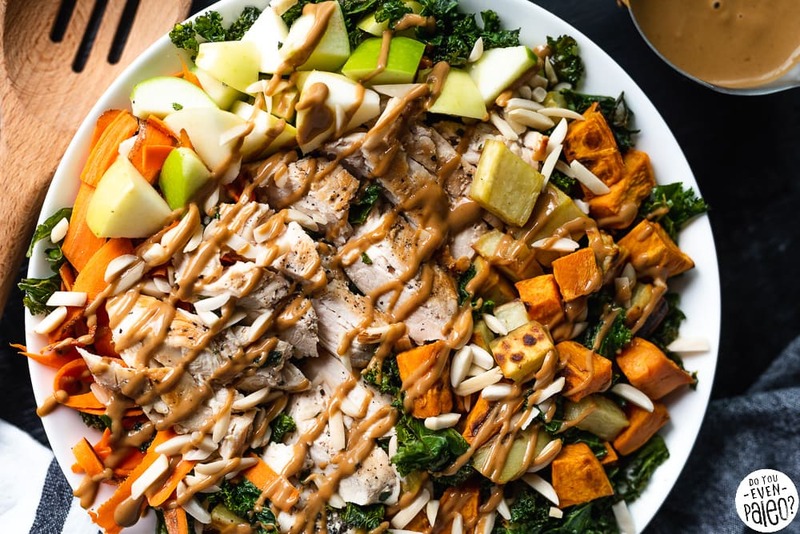 So, now that it’s fall, let’s get to this salad. Loaded, right? 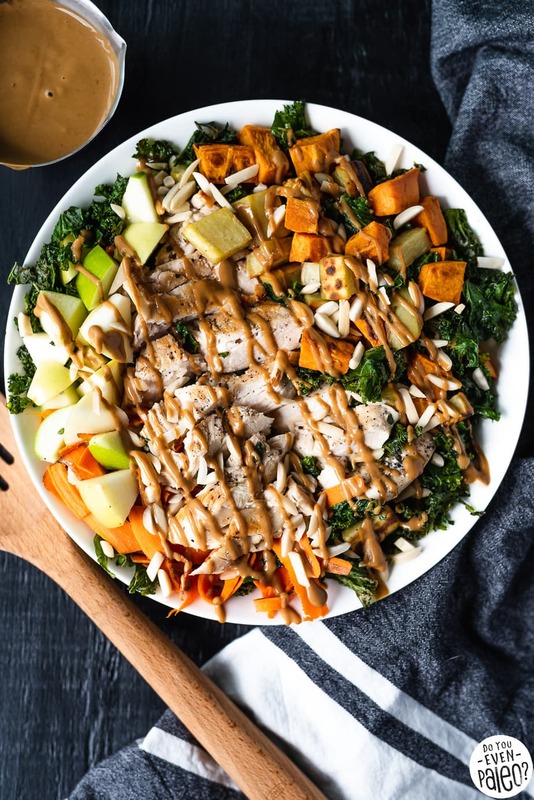 But this kale, apple, sweet potato salad gets even better, because then you’ll slather the whole thing in a creamy sunbutter dressing to really bring home that warm fall flavor. Unlike my previous fall harvest salads, this one includes chicken to round it out as a full meal. 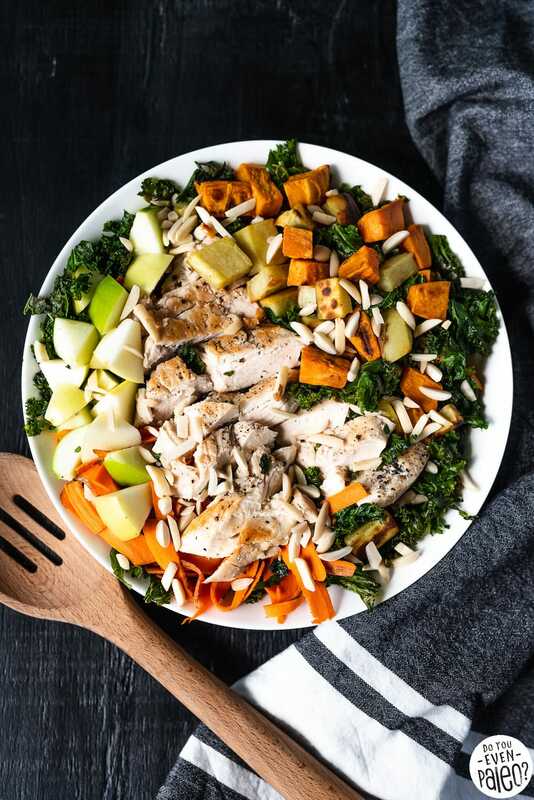 With the amount of prep that goes into these roasted salads, it just makes sense to throw in some protein to make it an easy, nourishing meal. 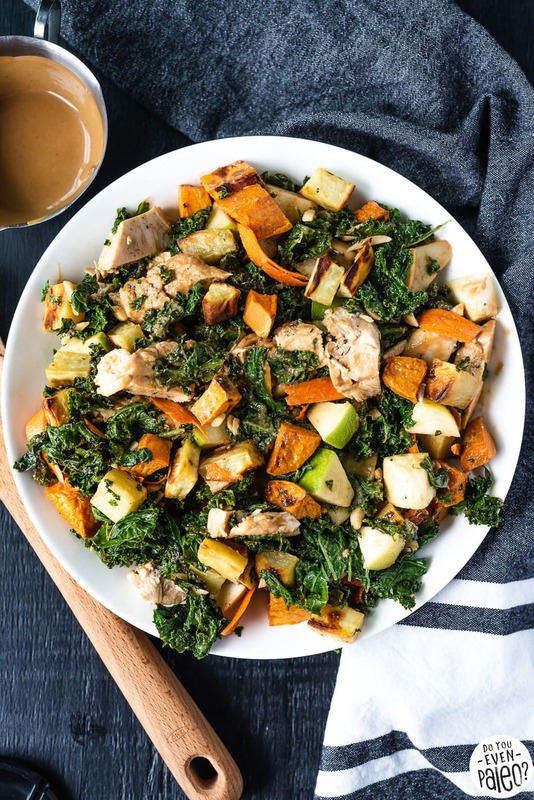 This hearty kale, apple, and sweet potato salad is perfect for lunch or dinner on chilly autumn days! 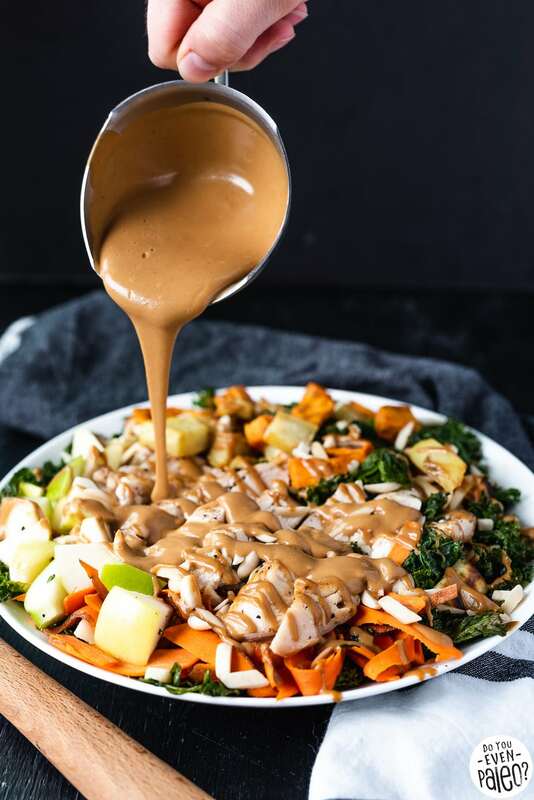 It does require a bit of work, but you can prep the kale, sweet potatoes, and dressing in advance to make this salad a cinch to make before eating. Serve this salad warm — you won’t regret it! Preheat oven to 400°F. Toss the cubed sweet potato with 1 tablespoon olive oil and arrange in a single layer on a parchment paper-lined baking sheet. Bake for 25 to 30 minutes, stirring halfway through, until sweet potato is tender and browned at the edges. Remove from the oven and allow to cool before transferring to a large bowl. Meanwhile, prepare kale for the oven. In a large bowl, massage kale with 2 tablespoons olive oil. Transfer to the baking sheet used to bake the sweet potato. Bake for about 10 minutes or until wilted and crisped at the edges. Transfer to the same bowl as the sweet potato. Use a vegetable peeler to ribbon the carrot by “peeling” the carrot lengthwise down the carrot until you can no longer peel anymore. Add the carrot ribbons to the bowl along with the chopped apples. Preheat the remaining 1 tablespoon olive oil in a skillet over medium-high heat. Pound the chicken breast to uniform thickness and season with salt and pepper. Add the chicken breast to the skillet and cook for 5 minutes on each side before transferring to a plate or cutting board to rest. Once the chicken breast has rested for 2-3 minutes, slice thinly. 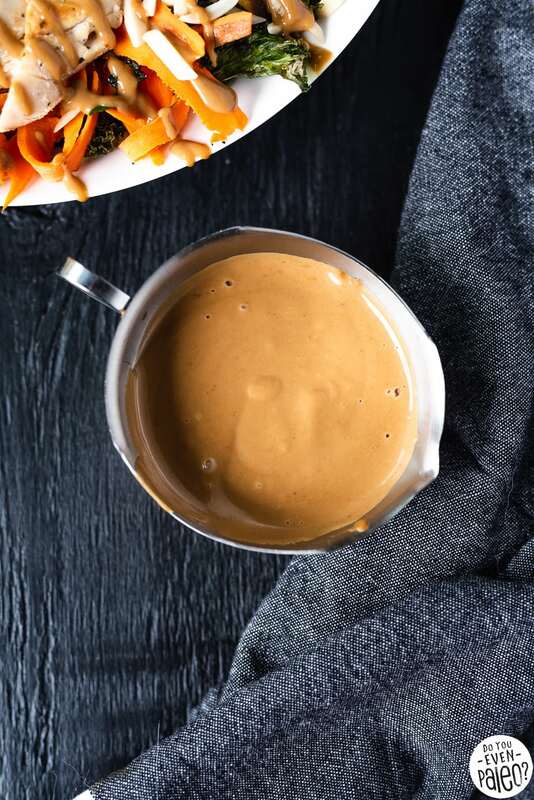 To make the dressing, combine all ingredients in a medium bowl and whisk until smooth. Add additional coconut milk, as necessary, to thin out the dressing to your liking. 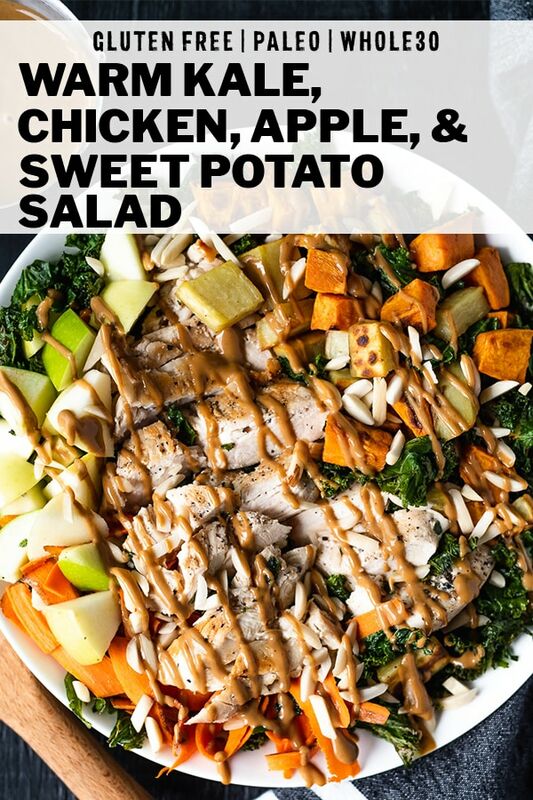 Toss the kale, sweet potato, carrot ribbons, and apples together. Split the mixture between two plates or bowls. 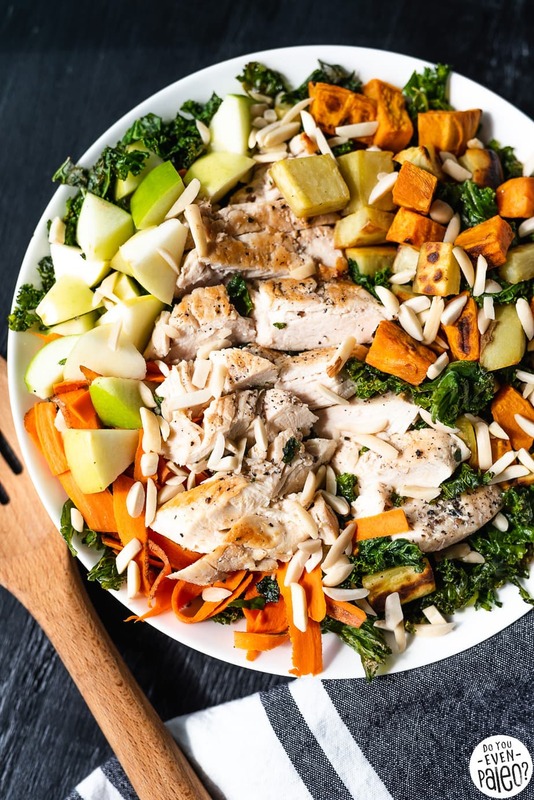 Place half the chicken on each salad, then sprinkle with slivered almonds. Drizzle half the dressing on to each salad, and eat immediately. I am doing my first Whole30 and I am not a person who has ever enjoyed or really eaten kale, and I was expecting not to like it. This salad is so unbelievably delicious and amazing. This will be in our dinner rotation well beyond the Whole30. Thank you for this recipe! 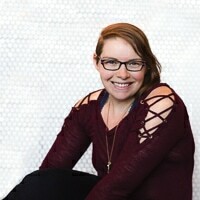 Thank you so much, Katie! I’m glad you like the recipe! This recipe is incredible. This is my third Whole30, but honestly I eat this when I’m not on Whole30 too. 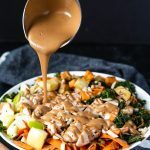 This is truly a crave-worthy salad and it is PERFECT for fall/winter when you know you need greens, but you really just want something warm and hearty. Thanks for this! I’m so glad to hear that, Lori! Thank you! Don't subscribe All Replies to my comments Notify me of followup comments via e-mail. 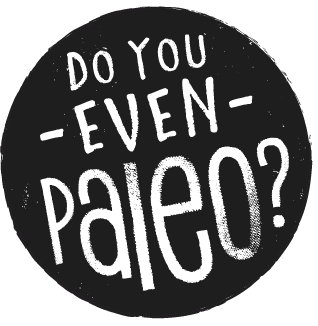 You can also <a href='https://www.doyouevenpaleo.net/comment-subscriptions/?srp=5403&srk=87505361eee98908ddf6ccb8681f50d6&sra=s&srsrc=f'>subscribe</a> without commenting.